HP is the number one laptop seller in the world at the current time, and has been for the past two years. It has achieved this through being user-focused. 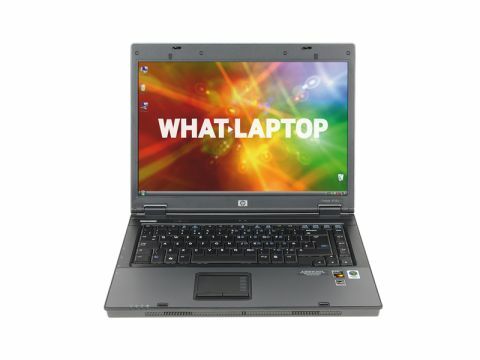 The HP Compaq 6715s (£499 inc. VAT) is a widescreen machine ideally suited to those who are looking for a desktop replacement with a degree of portability. The 2.7kg chassis is compact and semi-portable, given the use of a 15.4-inch Super-TFT panel. The screen has a native widescreen resolution of 1280 x 800 pixels and proved extremely bright in daily use. The glossy coating cast reﬂections, but they were minimal in comparison to other panels. The ATi Radeon X1250 graphics adapter offers basic performance, so you won't be able to run anything too taxing, but for everyday tasks it's ﬁne. The Compaq brand is aimed at business users instead of consumers and this can be seen in the strength and build quality of the 6715s. The body is made from a mix of magnesium-alloy and plastic and feels incredibly tough to the touch. The design is simple and understated and the design ﬂourishes are kept to a minimum. For instance, the keyboard sits in a small dip, so the keys can't rub against the screen during transit. The keyboard is a good size and while the keys have a slack feel to the typing action, this proved a comfortable and reliable keyboard to use. The touchpad and mouse buttons are also recessed and have a comfortable action. Overall, there is very little to worry about in build and design terms. The use of an AMD chip limits the performance of this machine, but we didn't ﬁnd any serious reduction in battery life. The Turion 64 X2 chip is a budget dual-core processor that proved satisfactory in daily use. The addition of 2048MB of memory means Windows Vista Business loads quickly and smoothly and we were generally satisfied with how capably this machine performed. The battery life, in excess of three hours, is more than usable and makes this one of the more capable machines on test. When it comes to extra features, you'll ﬁnd the standard array of wireless LAN and Ethernet ﬁtted. We were surprised to ﬁnd only two USB ports, both of which are ﬁtted on the left-hand side. This makes it difficult for the average user to add an external mouse, for example.